Separator Row - CULTEC, Inc. 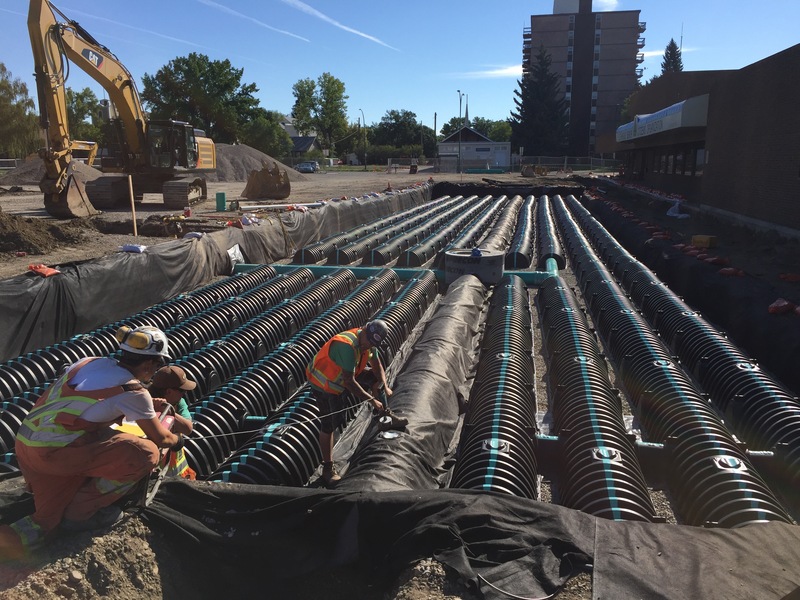 In order to minimize fine particles and silts from blinding the voids in the clear stone surround, a single chamber row is wrapped in non-woven geotextile and placed on a woven geotextile. 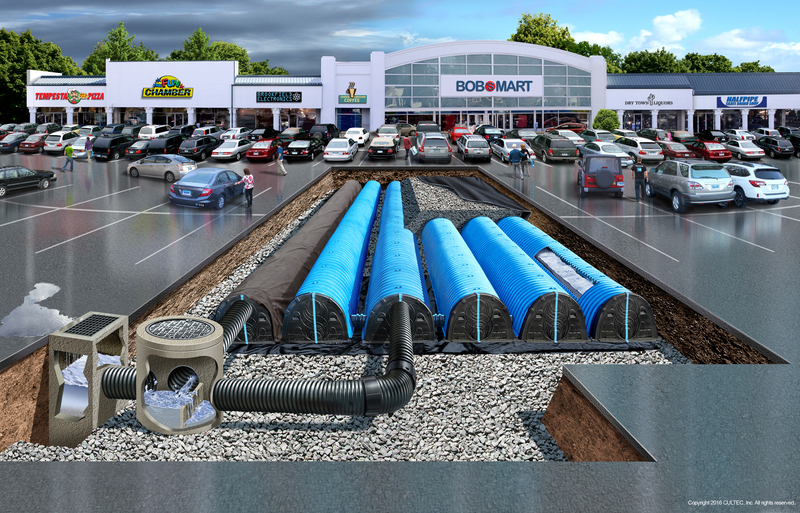 This row is connected to the inlet pipe of the CULTEC system providing a filtration function as the surface stormwater run-off passes through the geotextile wrapped inlet row. Sediment is trapped within the CULTEC Separator Row and may be removed through backflushing of this row. 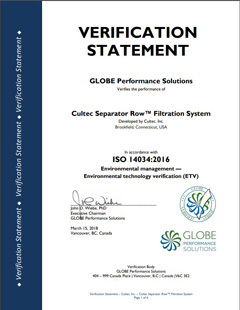 The CULTEC Separator Row has been third-party verified by GLOBE Performance Solutions for Environmental Technology Verification (ETV) to achieve 80% TSS removal rating.